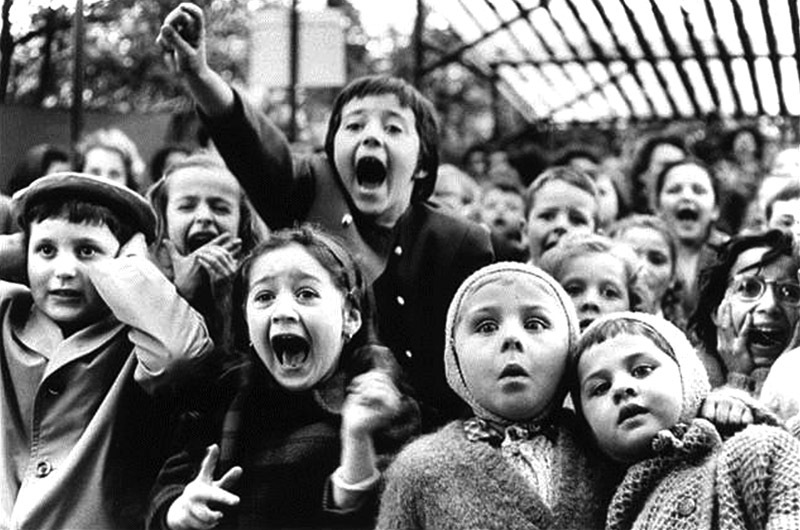 Alfred Eisenstaedt retrospective is at the Granary Gallery starting Sunday. He took a picture of Hitler and Mussolini shaking hands in Italy, and a picture of a serpentine oak tree in West Tisbury. 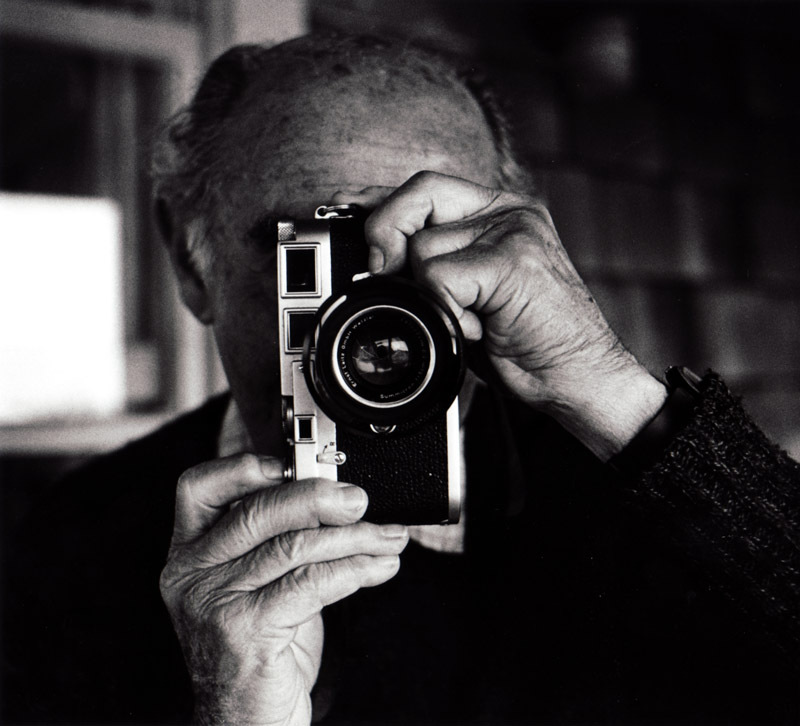 He took pictures of Marilyn Monroe at her Beverly Hills Home, and pictures of a foggy harbor in Menemsha. He took a picture of Albert Einstein sticking out his tongue in his office at Princeton University, and a portrait of President Bill Clinton and the first family at the Granary Gallery in West Tisbury. No matter where in the world his assignments for Life Magazine took him, he returned without fail to Menemsha every summer. He died here, in the place he loved, in 1995. This Sunday, August 28, Mr. Morse will curate a retrospective of Mr. Eisenstaedt’s famous, and not-so-famous photographs at the Granary Gallery. An opening reception is scheduled for 5 to 7 p.m., and the exhibit will be on display until Sept. 11. Mr. Eisenstaedt’s iconic photographs will hang on the same walls, and his admirers will stand in the same courtyard, as they did when the Granary Gallery hosted Mr. Eisenstaedt’s first photographic show in 1986. Mr. Morse was a teenager then, working at the gallery he would eventually own. He formed a friendship with the famous photojournalist, and began to acquire his personal collection of Eisenstaedt photographs. One of his favorites is the picture of the white oak tree. “Office prints were the images that were in boxes in his office, his travel photography, not for specific assignments, but for his own enjoyment,” Mr. Morse said. Mr. Eisenstaedt’s photographs appeared on the cover of Life more than 90 times. His photograph of an exuberant Navy sailor kissing a nurse in Times Square to celebrate the end of World War II, is one of the most widely known photographs in history. His photograph of children watching a puppet show, in which he positioned himself under the stage, captured the wildly different reactions of 11 different children as a puppet dragon was slayed on the stage. It made enough of an impression on Alison Shaw when she was a young photographer, that she purchased the image, though she had to squeeze her shoestring budget to do it. From Marilyn Monroe to Menemsha Harbor, Eisenstaedt captured the world. Mr. Eisenstaedt shot many of his most evocative photographs in black and white, long after most magazine photography was done in color. Ms. Shaw said as a young artist, she was in awe of Mr. Eisenstaedt, and grateful for his support of her own budding photography career. Often Mr. Eisenstaedt was at the center of the social scene. He made many friends on Martha’s Vineyard, and he valued the small town feel of the Island. It was one of the things which attracted him here. At a time when almost everyone has a phone camera in their pocket, and the internet pours millions of images into the steady stream of information bombarding nearly everyone, an Eisenstaedt photograph can still stop a viewer in their tracks. Yet in an interview with the Vineyard Gazette in 1987, Mr. Eisenstaedt seemed mystified about why so many of his pictures have become symbols of world history, or beloved images of the human experience captured at precisely the right moment. For him, photographing history was not a complicated process. Several generations of Islanders and visitors are pleased he looked at this place. I have always admired the photographic works of Alfred Eisenstaedt and have had the good fortune to be able to acquire several of his Time/Life prints through Chris Morse @ the Granary Gallery. It is because of his iconic & extraordinary images that I continue to use Tri-X 400 B&W film, hoping to capture what I consider unique candid & scenic "shots", with quite a few earning me placement ribbons in the "All Island Art Show" over the past 15 years. I will be @ the Sunday, 08/28/2016, retrospective of Eisenstaedt's photographs, high-lighted by Chris, and for the benefit & enjoyment of his many loyal patrons.